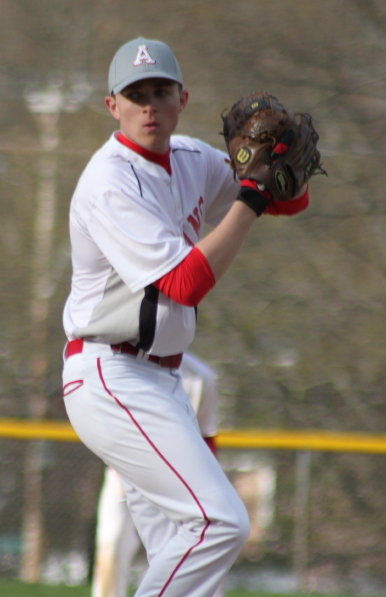 (Amesbury) Tommy Connor’s two-out single in the eighth inning gave Amesbury an exciting, 8-7, comeback win over Manchester-Essex on a very cold and windy Monday afternoon in Cape Ann League play. 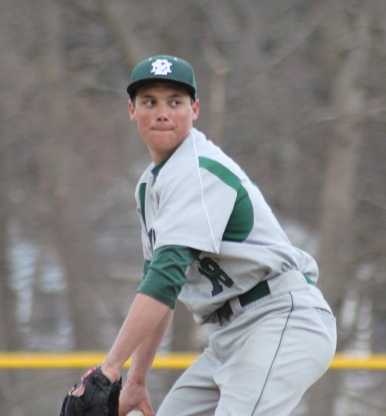 Junior Andy Reidy pitched a complete game five-hitter and struck out fifteen Hornets. 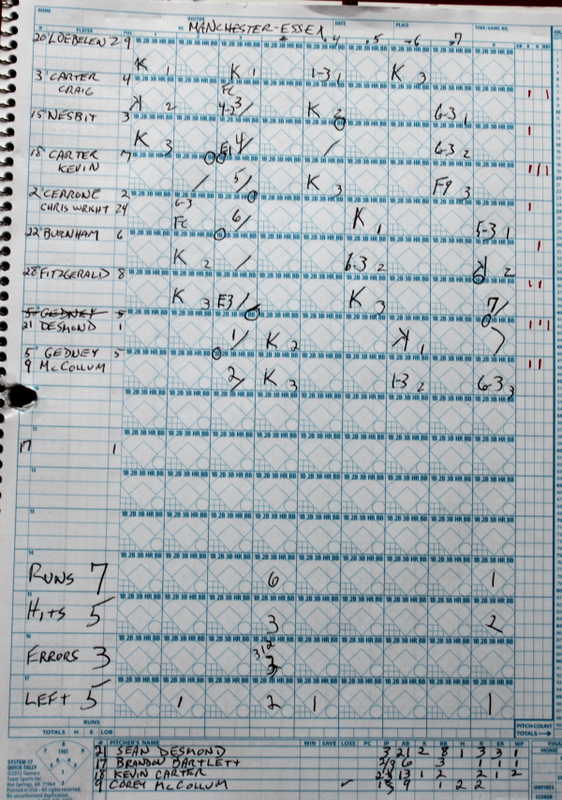 ME coach Bob Garrett used four pitchers (Sean Desmond, Brandon Bartlett, Kevin Carter, Corey McCollum) and while they only allowed three hits among them, they also surrendered fourteen walks and hit four batters. The walks and HBP’s enabled the Indians (3-2) to have baserunners and scoring chances galore. 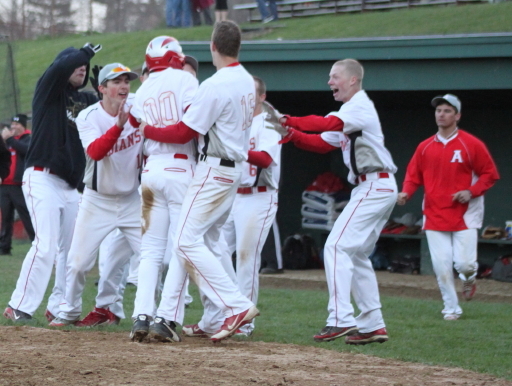 The missing ingredient was timely hitting but that showed up in Amesbury’s two-run eighth inning. 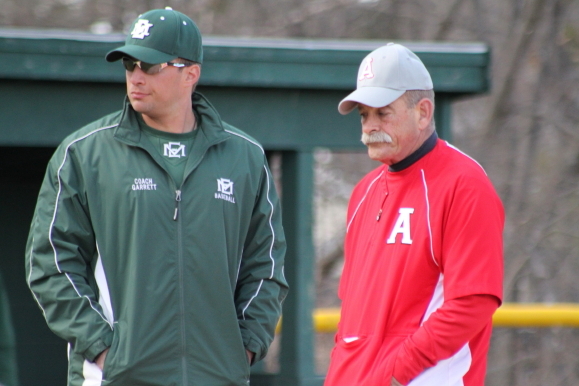 In that inning, a two-base throwing error by shortstop Cory Burnham allowed John Pesci to reach. John took third on a passed ball and scored on Adam Ivancic’s RBI single to left. Adam took second with one out and third on another passed ball. After a popout by Ben Cullen, for the second out, Tommy Connors was the batter. Two innings earlier Tommy popped out with the bases loaded with two outs. Not this time. 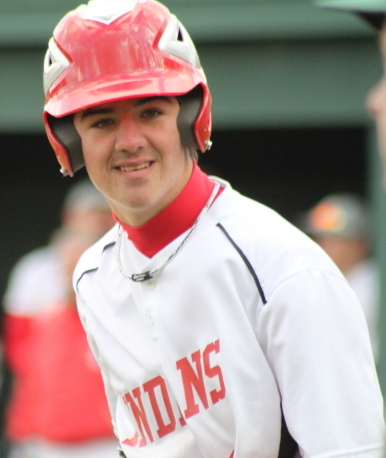 The Indians senior slapped a single to centerfield sending Adam home with the game winner. 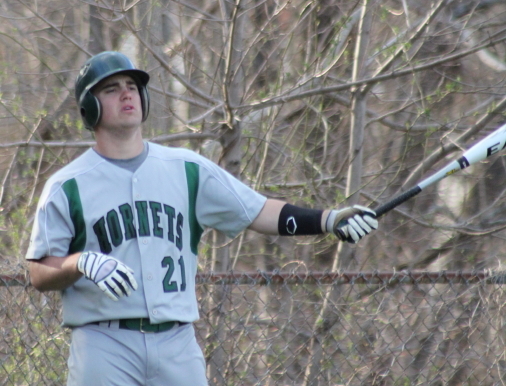 The loss was a tough one for the Hornets because they had gone ahead by a run in the top of the eighth inning. After Jake Fitzgerald singled with two outs, Sean Desmond reached the base of the centerfield fence with a run-scoring double. But the Hornets (1-3) couldn’t hold the lead. 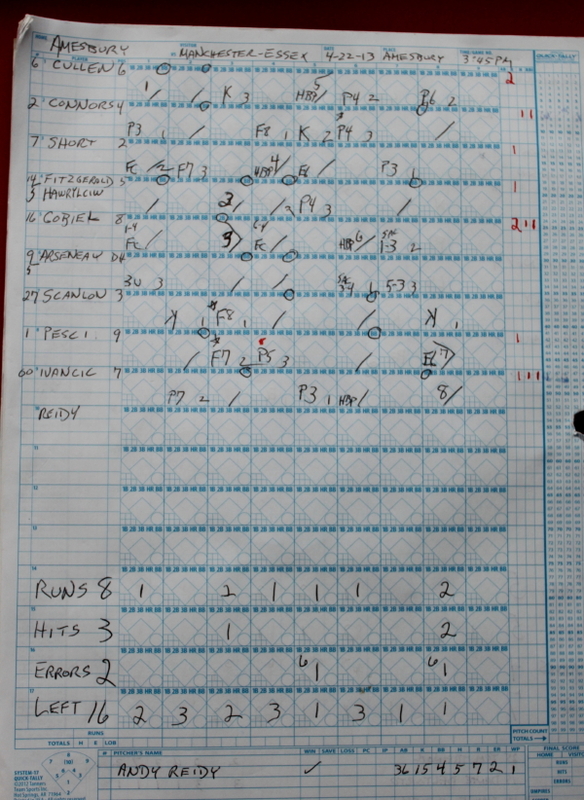 ME ended up with seven runs and got six of them in a wild third inning as they sent eleven batters to the plate. The Carter brothers (Craig and Kevin) drove in two of the runs but the rest of them were unearned. 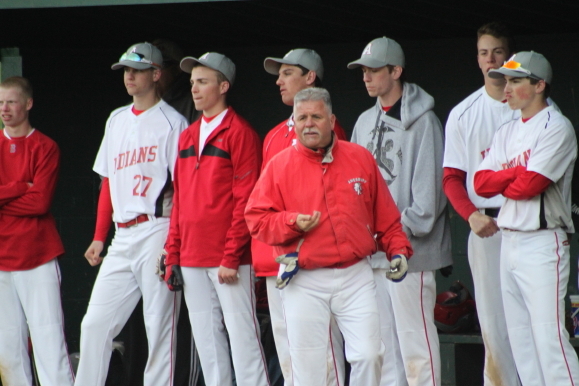 The Indians had three errors (Mac Short, Andy Reidy, Patrick Scanlon) and two wild pitches. And there could have been more runs but Andy Reidy K’d Sean Desmond and Henry Gedney with the bases loaded to end that inning. 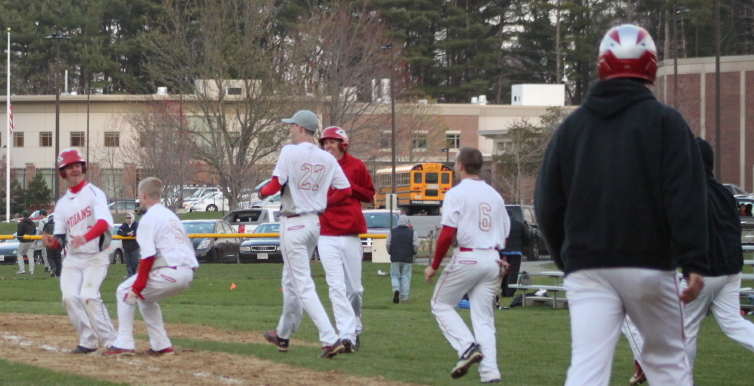 Amesbury stranded sixteen runners including the bases loaded in three different innings. 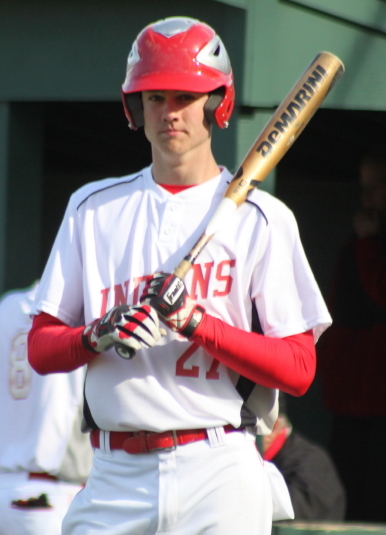 Ben Cullen and Devlin Gobeil each scored two runs for the Indians. Devlin had an RBI grounder in the first inning. 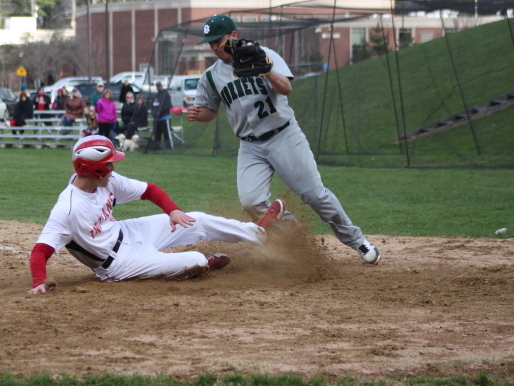 In the third inning, both Zack Fitzgerald and Devlin Gobeil scored on a two-out wild pitch. Brandon Bartlett’s wild pitch allowed Mac Short to score in the fourth inning. A two-base throwing error by Cory Burnham enabled Ben Cullen to cross with Amesbury’s fifth run coming in the fifth inning. 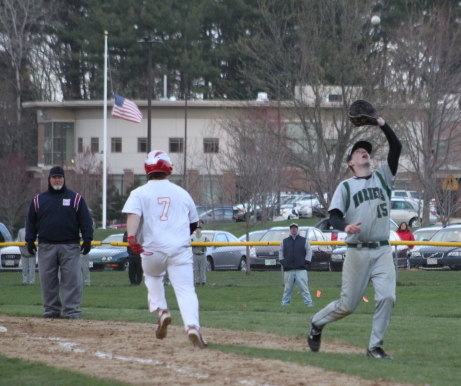 A wild pitch by the Hornet’s Kevin Carter sent Devlin Gobeil home with the tying run in the sixth inning. Manchester-Essex arrived late for the start of the game. On a very cold, windy day those extra 15-20 minutes of waiting were tough to take. ME qualified for the state tournament last season for the first time in twenty years. ME will be hosting Rockport tomorrow. Amesbury hosts Lynnfield. I can guarantee you that Andy Reidy won’t be doing any pitching after going eight innings in cold weather. I wonder how many pitches he threw? You knew that the game was a “little long” when the Amesbury softball team was on hand for the end of the game. They played and returned from a game in Rockport!